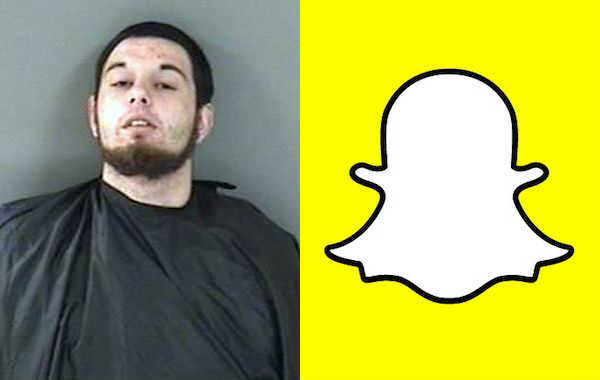 Man brags on Snapchat wearing a stolen watch in Vero Beach. VERO BEACH – A 21-year-old Vero Beach man was arrested on burglary charges after he showed stolen watches on the Snapchat social media site. Detectives with the Indian River County Sheriff’s Office were dispatched to a Vero Beach apartment at 555 12th Road in reference to a burglary. The victim said a rear window of the apartment was smashed and 16 watches were missing from her bedroom. A few days prior, a friend of the victim identified as Anthony Federico requested that she give him a few of her watches, in which she declined. A couple of days later, Federico sent the victim a message on Snapchat threatening to break in and steal the watches, according to the report. The victim thought it was strange that Federico would send her such a message, so she saved it showed it to detectives. The value of the stolen watches totaled $3,200.00. Detectives reviewed video surveillance and saw a vehicle matching the one Federico drives. Law enforcement then located a video of Federico on Snapchat showing ecstasy, cannabis, and wearing a gold and black watch that was identified by the victim as one of the stolen watches, the report said. Detectives located Federico walking on 12th Street towards 6th Avenue in Vero Beach. Detectives presented a picture of the Snapchat video to Federico of him wearing a stolen watch. Federico told detectives that he working with law enforcement to retrieve the watches. “Upon asking him why he did not call me, the lead agent on the case, since he had one of the watches on his possession … Federico became silent,” the detective said in the report. Federico was arrested and transported to the Indian River County Sheriff’s Office where he was charged with Felony Burglary, Felony Grand Theft, Misdemeanor Criminal Mischief, and Felony Attempted Burglary Occupied Dwelling. The judge has revoked Federico’s bond.